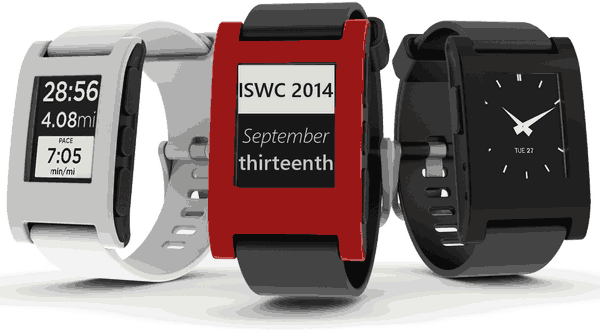 The International Symposium on Wearable Computing (ISWC) is the leading academic conference for top-tier research in Wearable Computing. The 14th annual event is taking place in two weeks in Seattle, sponsored my Microsoft Research, Google, Intel and Yahoo! to name a few. Topics range from applications for the space program (Amy Ross, leader of NASA’s space suit program is giving a keynote! ), bleeding edge artificial intelligence, even tongue tracking! Also don’t miss two talks from twosen.se on how to infer group behavior from smart phone/watch sensors on Monday and Tuesday! This entry was posted in Uncategorized on September 8, 2014 by Dawud Gordon. Luth Research is offering users $100 a month to completely invade your privacy. For that price they put software on your phone that tracks your location, your conversations, web browsing behavior, basically everything you do with your phone. Luth then examines how users interact with their device in order to gauge purchasing behavior. For example they found out that people who visit a car dealership are already prepared to buy, which I guess is a big deal. I guess in marketing some of the obvious assumptions have never been empirically proven before, and data science is slowly confirming them. Purportedly, 20,000 browser users have agreed to this deal, with 6,000 mobile users enrolled as well. Thats a lot! One caveat seems to be that the $100 value is an “up to” value which depends on how many surveys you fill out. I would guess that a good deal of active participation is required along side the passive trackers to get your full paycheck. Recently DataCoup, a New York startup, started offering users $8 a moth to acquire their data. If Luth is paying $100 and DataCoup is paying $8, is Luth overpaying or is Datacoup not paying you what your data is worth? Or perhaps Datacoup is not quite as invasive as Luth’s solution. In the end, the users will decide where the tradeoff between currency and privacy lies. This entry was posted in Uncategorized on September 5, 2014 by Dawud Gordon.